A company offering probate and funeral director broker services has insisted its free will service is not aimed at replacing solicitors where matters are complex. 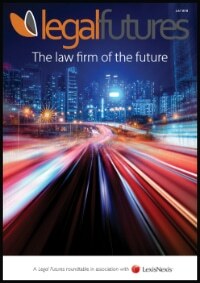 Beyond.life is running an advertising campaign that says “Where there’s a will, there’s a solicitor’s bill”. Its website said it hoped to “cut through the jargon”, offers a range of services to the bereaved and claimed to be “trusted by thousands”. One of the services is an online will-writing service the web site said will “give peace of mind in just 10 minutes”. Another is a fixed-price “comprehensive probate and estate administration service” with “no sneaky small print”. 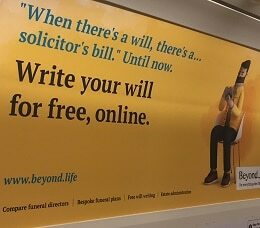 Beyond’s head of digital marketing, Maya Traykova, told Legal Futures that, before a customer could write a will, they must first answer “qualifying questions to make sure that our service is the right one for them”. 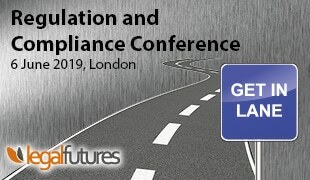 The will-writing algorithm had been written “from scratch” by in-house developers “with STEP [Society of Trust and Estate Practitioners] lawyers to ensure that the texts are solicitor-approved and legally-binding”. She continued: “It’s important to understand that we don’t see our will-writing service as a substitute for solicitors and complex wills, we see our service as the legally-binding way of creating a simple will. “We use a solicitor approved-template for our wills, just like solicitors would do to write up a simple will, the only difference is that ours is free of charge. Ms Traykova said the service was “perfect for millennials who are short of cash and prefer handling their affairs online”. She added: “Quite frankly, the vast majority of young people, say with a newborn or just after getting a house, are not going to have the time or cash to go and sit with a solicitor to make a bespoke will. 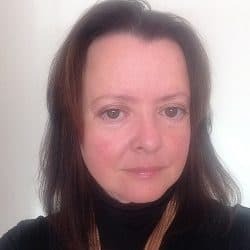 Probate services were provided by “several third-party providers that are authorised and regulated by the Council of Licensed Conveyancers… and we’re trialling them based on our customer feedback”, Ms Traykova said. In the past solicitors have voiced concerns that clients were not always in a position to know whether their circumstances were simple or needed a more elaborate will.